Who says you can’t have it all? SUV-strong performance, mixed with the space and creature comforts of a minivan—the 2019 Dodge Journey, available at British Columbia’s Go Dodge Surrey, ticks off all the boxes and then some. 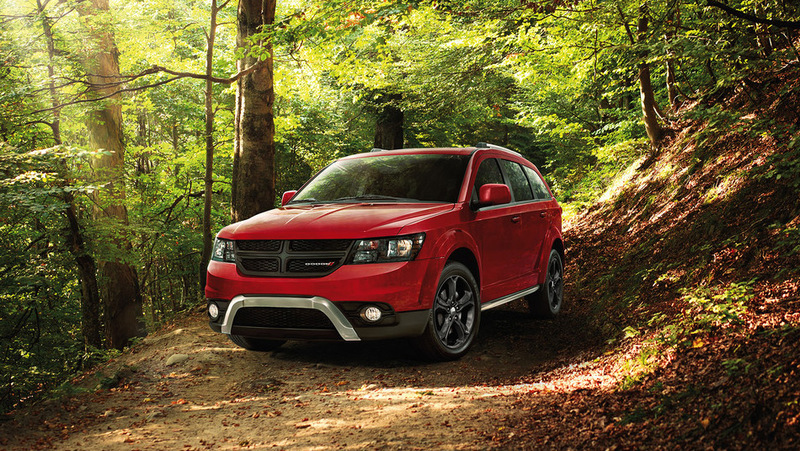 There are few vehicles that are as powerful, capable, and comfortable as the Dodge Journey, read on to learn why it should be your next family vehicle. Find yourself behind the wheel of the 2019 Dodge Journey, and you’ll be whisked away by Canada’s best-selling engine—the 3-time Wards Best Engines winning 3.6L Pentastar™ VVT V6. With 283 horsepower, and 260 lb-ft of torque, you’ll completely forget you’re in a crossover and not a muscle car. Efficient too, in the 2019 Journey this best-selling V6 provides fuel economy to the tune of 9.5L/100 km on the highway. Save at the pump on long trips in BC, and treat the family accordingly. If practicality and safety are high on your list, the 2019 Dodge Journey delivers. More than 40 standard and available safety features in the Journey ensure you’ll have peace-of-mind when travelling with family in tow. ParkView® Rear Back-Up Camera, Sentry Key® antitheft engine immobilizer, 7 airbags, and more, all come standard in this 7-seater crossover. Available features like Park-Sense® Rear Park Assist System, or hands-free smartphone-compatible Bluetooth®, make your day-to-day commute just a little more pleasant—and a lot safer. With a multitude of trim levels and features to choose from, a 5 year/100,000 km powertrain limited warranty, 24-hour Roadside Assistance, in addition to the power and safety mentioned above, the 2019 Dodge Journey has, and can do, it all. If you want to learn more about the 2019 Dodge Journey, contact us at Go Dodge Surrey, or go ahead and book a test drive below.